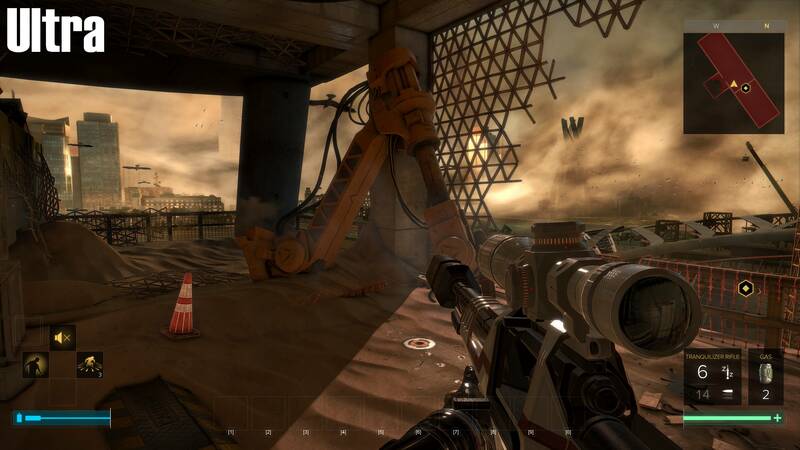 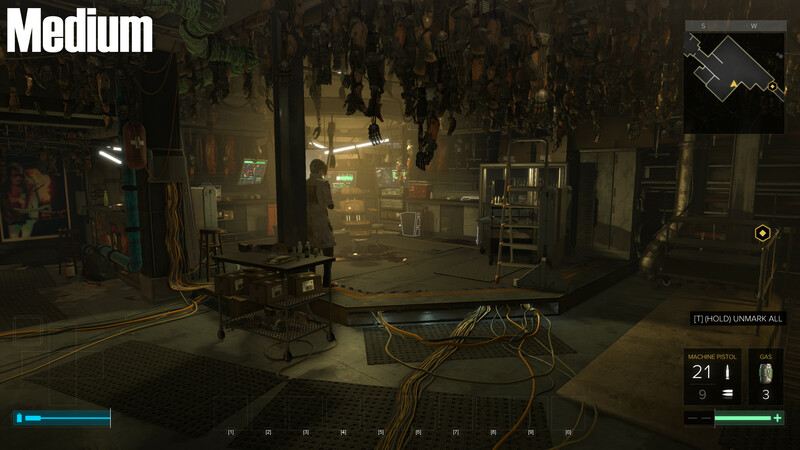 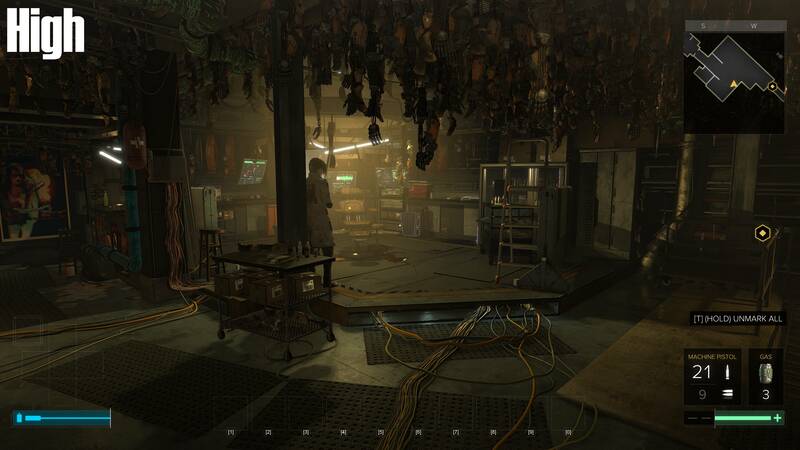 Even at the lowest setting, Deus Ex Mankind Divided is a pretty game, though some huge gains in graphical fidelity are achieved when moving up to medium and high graphical settings. Moving beyond high settings only achieves some limited performance gains, with the visual differences, especially when moving through the environment quickly. 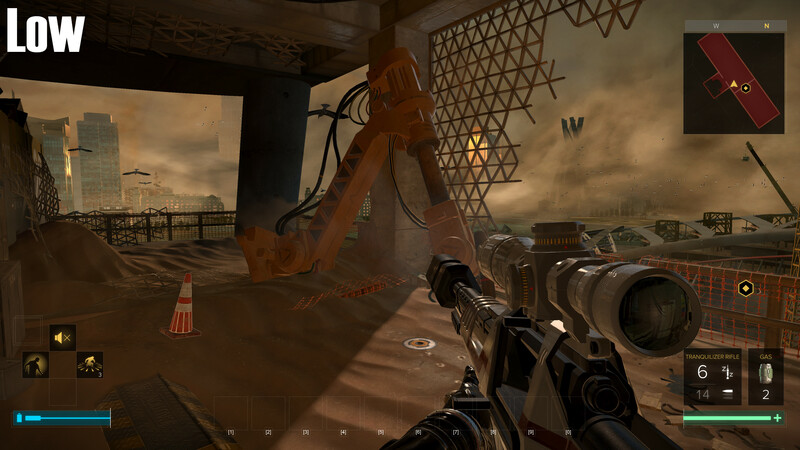 The biggest differences can be seen at the edges of shadows and on minor game objects. 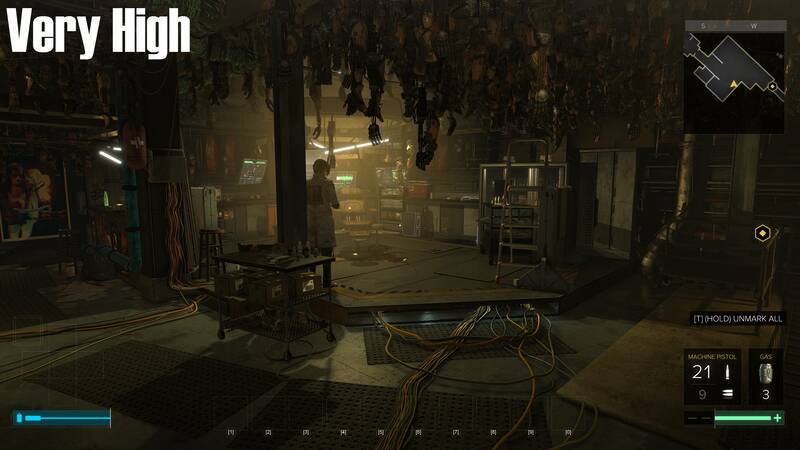 Moving through the game's graphical setting we can see that no environmental details are taken away from the world, with the biggest differences coming from changes in shadow and lighting quality. 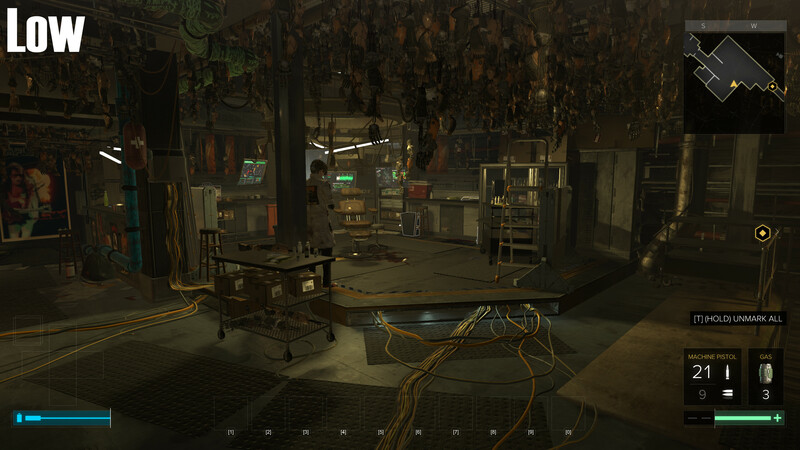 Differences in texture detail are noticeable at lower settings, though at lower resolutions these minor changes in detail will be all but unnoticeable during gameplay.